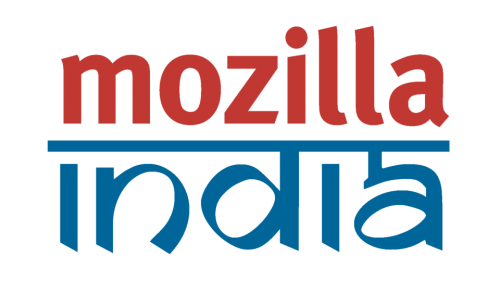 Mozilla India is one of the largest regional Mozilla communities. India is the seventh largest country in the World by area and the second most populous country with over 1.2 billion people. It is a federation composed of 29 states, 6 union territories, and 1 national capital territory. There were 156 million Internet users in India in 2012 and an estimated 243 million in 2014. There were approximately 82 million 3G subscribers in India by the end of 2014. Google receives more than 50% of Indian traffic from mobile phones (in mid-2015). Mozilla India is a group of passionate people who care for the open Web and love Mozilla. We believe in Mozilla's mission and take it forward as guards of the open Internet. Our community has contributors who are student ambassadors, localizers, testers, marketing volunteers, coders, Mozilla Reps, etc. Many of them are students, teachers, lawyers, filmmakers, entrepreneurs, designers, and parents. Mozilla India is a volunteer run organization engaged in promoting openness, innovation, and opportunity on the Web in the country. It was born out of an effort to bring together a community for users, translators and developers of the Mozilla and Open Web technologies in India. Mozilla India is part of the global community of Mozilla Foundation. Mozilla India, as a community, aims to reach end users and contributors with various resources. We make it easier for anyone to participate and help them work on the projects they choose to get involved in. We raise awareness about Mozilla's mission and introduce Mozilla to educational institutions, government organizations, and corporate companies. We create momentum for action and strive to keep the Web open. We promote projects and ideas of Mozilla in India by organizing events, through localization of products, by offering free help, knowledge, resources and our vision for an open Web, by making everyone realize that Internet is a critical public resource. "Internet By The People, Internet For The People"
Users: Anyone who visits the site. Casual contributors: Users that contribute to the community from time to time in different projects. Core contributors: A casual contributor who has been participating actively for at least 6 months or more could be proposed as a core contributor or member. If you are going to be inactive or you stop contributing you will be again a casual contributor. Owners: Casual or core contributors who are in-charge of a Task Force Area. The role of Owner is responsible for defining tasks, prioritize to get the best possible progress and review its implementation. Peers: Casual or core contributors who want to help newcomers to get into the community. This is an additional responsibility. Anyone who cares about the Web, loves Firefox or believes in Mozilla's mission can join the community and start contributing to the projects. You don't have to be a C++ guru to be able to contribute to Mozilla. There are several areas that one can contribute to based on how much time they have, even if that's just 5 minutes! Mozilla India Task Force Teams are the interest groups that focus on a specific Area of contribution. You can learn more about the Mozilla IndiaTask Force Teams here. Click this document to learn about the culture and "good things to keep in mind". Very useful read if you are getting started. Learn more about IRC here. Once a month, an open meeting is organized for status updates on different on-going projects and followed by topic that would need discussion. How to join the meetings: - You can join us at #india on IRC (irc.mozilla.org). Design Challenge: Mozilla India Mascot! As part of the Mozilla Community Space Initiative, Bangalore has been selected as one of the pilot city by Mozilla. The Mozilla Community Space Bangalore is a volunteer run community space and supported by Mozilla. Learn more about the Mozilla Community Space Bangalore. Mozilla India is a group of volunteers and officially represents Mozilla Foundation or Corporation in the country. To ensure compliance with policy trademarks of Mozilla Foundation, the following statement is made: The use of trademarks Mozilla, Firefox, Thunderbird, SeaMonkey, Sunbird, Camino, Bugzilla and other for Mozilla Foundation, and the use of the logos of Mozilla, Firefox and Thunderbird is done for the sole purpose of publicizing and promote Mozilla products and explicitly recognizes that Mozilla India not own or have any rights to such trademarks or logos. It also states that, according to the information in the FAQ on Mozilla's trademarks (in English) , trademarks and logos mentioned in the previous section are the exclusive property of Mozilla Foundation. This page was last modified on 20 December 2018, at 17:14.